Another old one today. 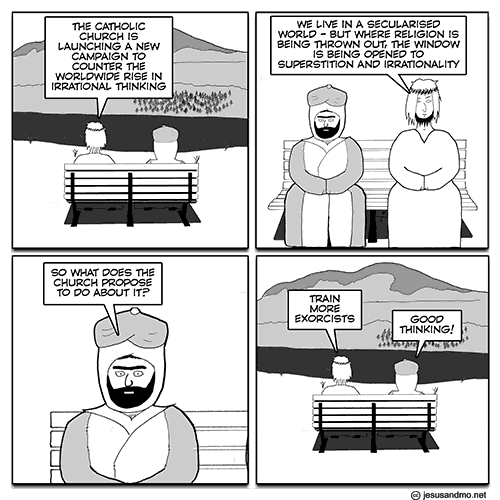 Quackery and exorcism are in the news again. This isn’t satire, it’s reportage. Thanks to guest script writer Giuseppe Ferrari. 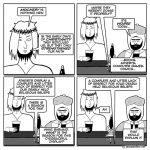 Jesus & Mo now has a Patreon account, which allows regular readers to support its continued production by pledging a small amount each month. It’s entirely voluntary, and can be cancelled at any time. There is also a system of incremental rewards, depending on how much you pledge. 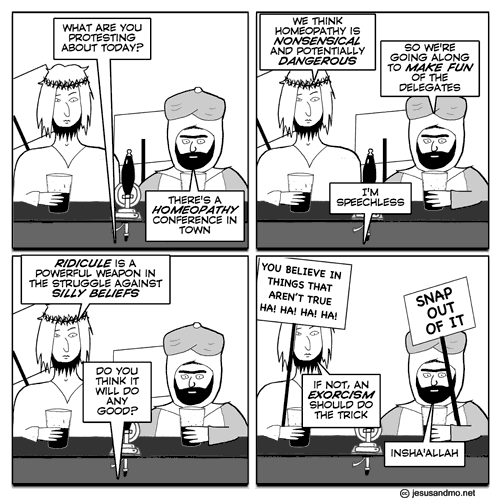 Jesus & Mo has been available free since 2005, and will always be free. But now, if you enjoy it and you think that each strip is worth, say, 25 cents’ worth of pleasure to you, you can pledge a dollar a month and have the satisfaction of knowing you’re playing a part in keeping this little corner of blasphemous satire active in the world. If you think it’s worth more than that, you’ll get a bit more. Here – have a look. 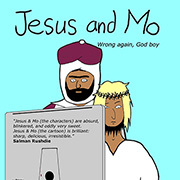 Thanks for your support and thanks, above all, for reading Jesus & Mo.